We left the cabins at 7.15 am after a cool air conditioned night (better not get used to that !) and went straight to the elephant stadium. All along the road to the stadium are food stalls and plant sellers. The plants for sale are all tropical garden plants, many of them orchids. The seats we had were high in the stand and so were shady. You can pay as little as 40 baht on the other side, but right in the corner of the stadium, and in the blazing sun. Our tickets were 800 baht per person. 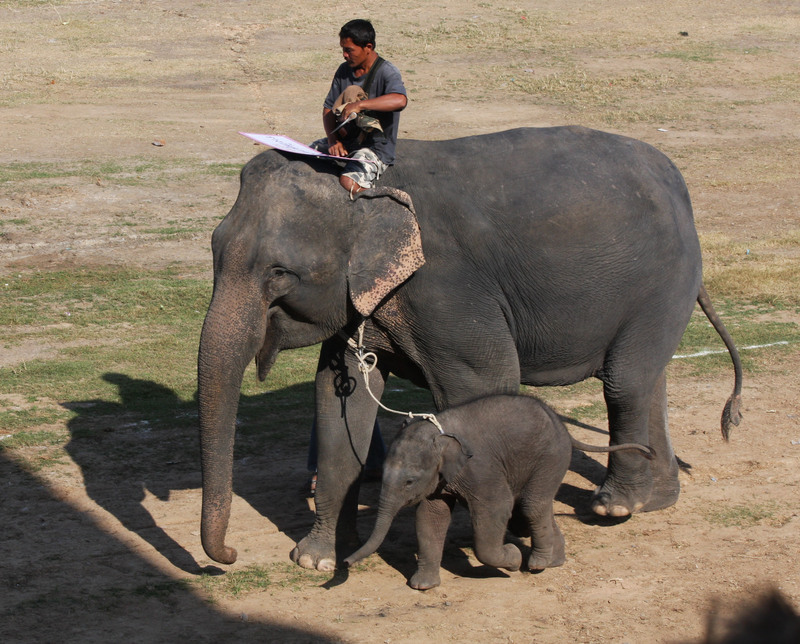 The elephants are well trained and get lots of practice performing most days in a village north of Surin. The music started and believe it or not the elephants started dancing! 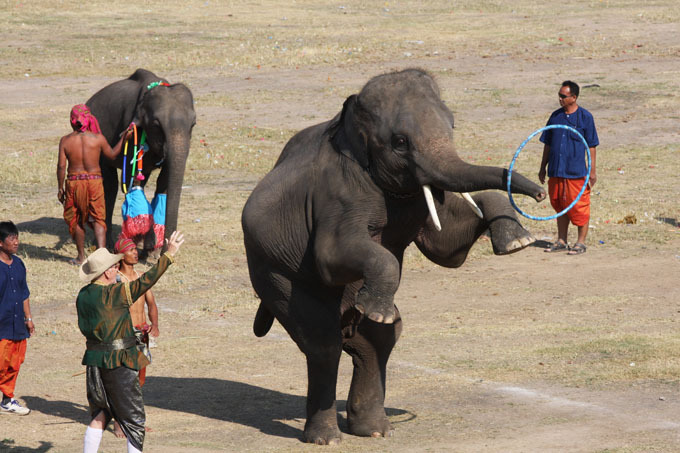 They also threw darts to pop balloons, walked over volunteers from the audiences laid out on the ground (we didn’t fancy that), and played hula hoop on their trunk while sitting or balancing on two legs! It seemed as though they enjoyed themselves, and were proud when the audience clapped … maybe just wishful thinking? It does seem that because of tourism, the elephant numbers in Thailand are increasing again. There were certainly loads of babies around. 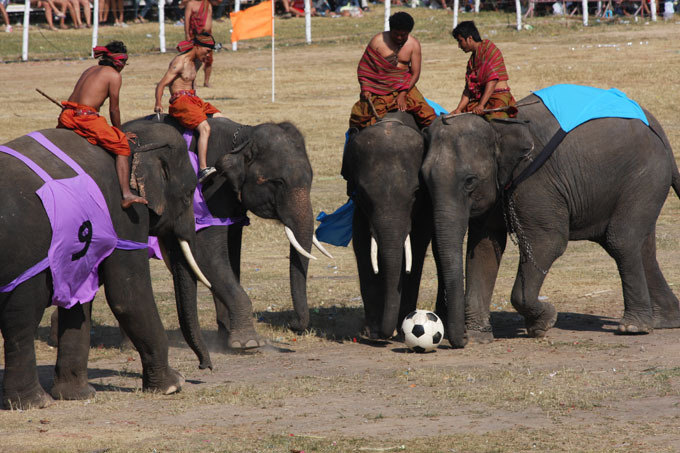 One of the groups of elephants then had a game of football. No rapid changes of direction, but they were surprisingly quick. There was then a re enactment of a big battle. 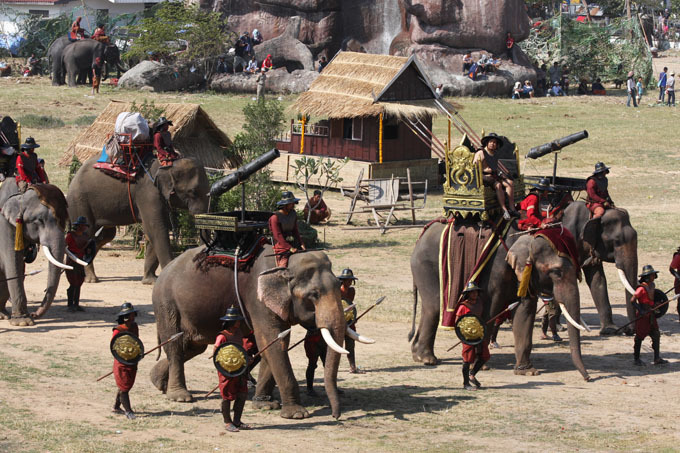 Canons mounted on the backs of elephants, lots of traditional costumes and big explosions. It was really well done. 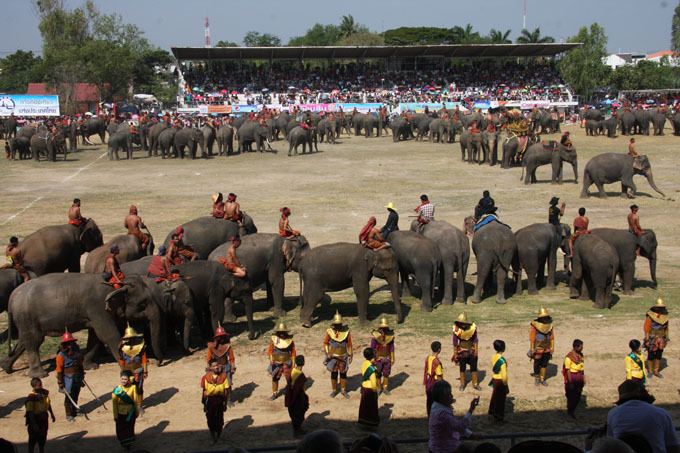 In the final stages of the show there seemed to be hundreds of elephants in the stadium! It was a great show and we all really enjoyed it. 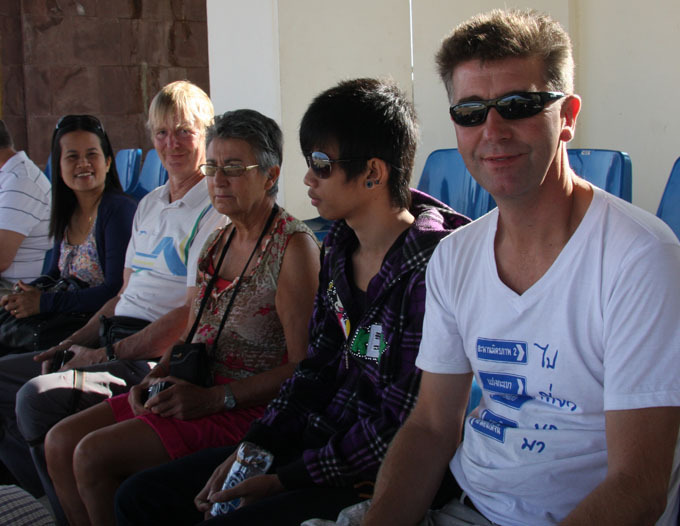 We had some lunch with Aree and her son, Chris and Mary and then headed out of Surin towards Buri Ram. Turned south on the 2208 to Prakhon Chai and then followed the 24 to Nang Rong. We planned to drop south right down to the coast on the 348. In the evening we stopped at Dong Yai Wildlife Reserve and asked if we could sleep there. Once again lovely people and very welcoming. We were even given a socket to plug into. They offered us the use of the toilet area too. The security guard was armed, so we were well protected! It cooled down really well in the evening, so it looked like being a quiet and cool night. Thailand has proved to be an easy place to stay overnight so far, though it may be different in the coastal areas. We’ll see!